Thinking of an Allied Health Career? The healthcare sector is an important influence towards promoting the well-being of the general population. There are many areas of speciality available at the certificate level, allowing you to study for a potentially stable and rewarding career in many different areas of interest. Allied Health Assistants work under the direct supervision of health care professionals (such as doctors and nurses) to provide therapeutic and program-related support in a variety of assistant roles such as occupational therapy, physiotherapy, podiatry, speech pathology and nutrition. The graph shows historical and projected (to 2023) employment levels (thousands) for Occupational therapy. Source: *Job Outlook Government website. ABS Labour Force Survey, DEEWR trend data and DEEWR projections to 2023. Estimates have been rounded. Over the years to 2023, the number of job openings for Occupational Therapists (Allied Health Services) is expected to be around 20,000. 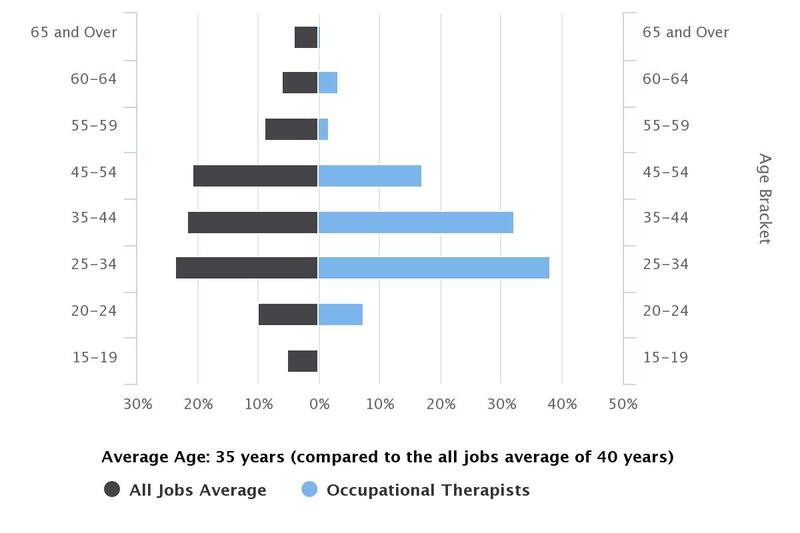 Employment for Occupational Therapists (Allied Health) is expected to grow very strongly. 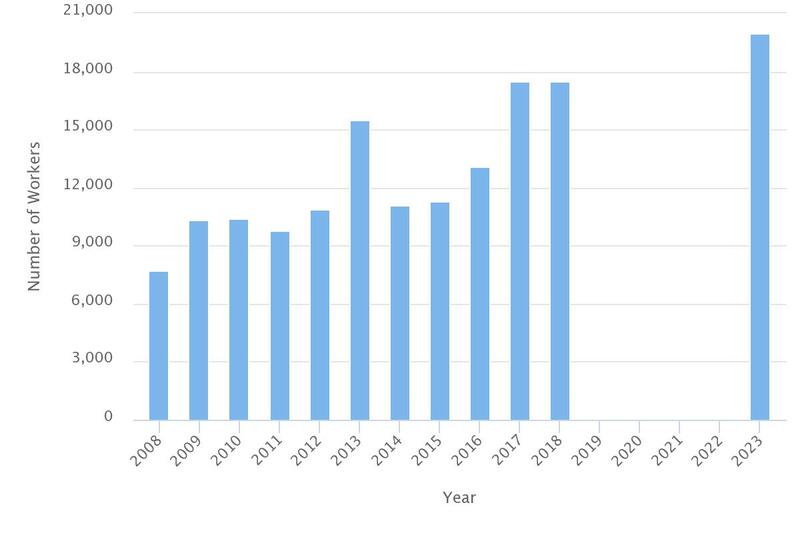 Employment in this medium sized occupation rose very strongly in the past five years and in the long-term (ten years). Source: *Job Outlook Government website. Estimates have been rounded and consequently some discrepancies may occur between sums of the component items and totals. 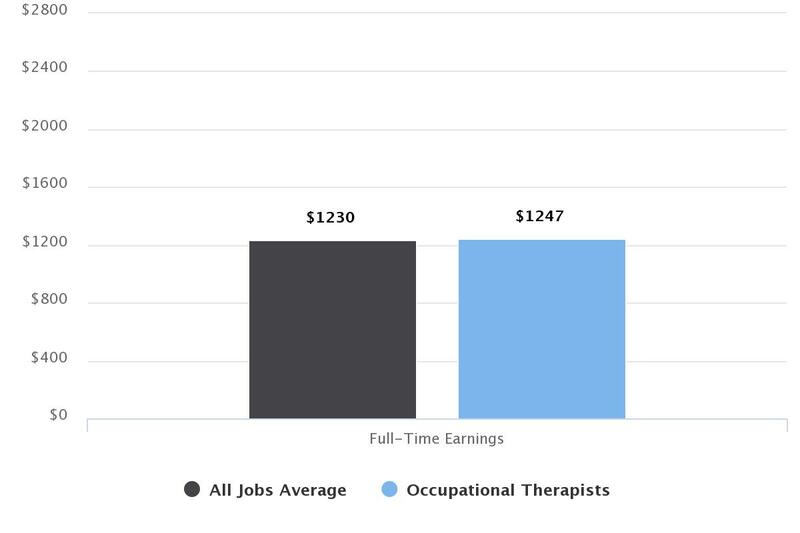 The wage for an Occupational Therapy Assistant (living in Sydney) is around $1247 per week, or approximately up to $64,844 per annum. For Allied Health Professionals (Occupational Therapists) 38.2% people are in the 25-34 age bracket and 32.1% belong to the age group of 35-44. What Allied Health Qualifications Do You Need? Occupational therapy helps those affected by illness, injury, accidents or ageing to resume everyday activities such as work, recreation and domestic tasks. OTs work with a variety of clients, from children to the aged. This course prepares you towards a career as an OT assistant. Cert IV in Allied Health Allied health covers Community rehabilitation. This accredited qualification gives you the skills and knowledge to help people be independent again and reintegrate into the community after an injury, illness or accident. This course suits people who are, or want to be, physiotherapists’ assistants or aides. The custom-designed course material will teach you how to deliver a client-specific exercise program and assist with physiotherapy treatments in individual or group sessions. This course will give you broad health knowledge and specialist skills in nutrition and dietetics. Available online, this certificate is the ideal foundation for working as a skilled assistant to a nutritionist or other health professional. Why Study Allied Health through Open Colleges? Our Allied Health courses are delivered online, giving you the flexibility of organising your study around your life. You can enrol anytime of the year and study at your own pace. Among other things, you'll learn about getting started in the allied health industry. This will involve learning how to use the right medical terms and words, and to take the right medical actions with your patients. You’ll also learn core information on allied health precision, influencing behaviour and how to maintain organisational excellence. In two sentences, tell us what a bit about your role; working as an OT in the allied health industry. I predominantly conduct capacity assessments for people who have sustained physical injuries either at work, whilst driving, or within the community. I assess their ability to safely and independently perform everyday activities within the home or workplace. What does an OT do on a day to day basis? An Occupational Therapist can work in a wide variety of roles with people of all ages varying from babies and children, to the elderly. Occupational Therapists assist people overcome limitations caused by injury or illness, psychological or emotional difficulties, developmental delay or the effects of ageing. They assist people to move from dependence to independence, maximising personal capability. In my opinion, the most rewarding part is watching patients progress from disability and dependence, into independence, and regaining their prior roles within their families and respective communities. What skills/attributes do potential Occupational Therapist’s Assistants need to have? I think the most important skills that people need are the basics of patience, perseverance, objectivity, professionalism and empathy. What’re your favourite things about working in the allied health industry? There are a fantastic variety of roles, both in public and private sectors. The opportunity to be part of an allied health team working towards mutual goals for each patient can be highly satisfying and rewarding. Thanks, Nicola, for sharing your story with Open Colleges.